Mark your calendars – you won’t want to miss this year’s Vintage Christmas celebration. 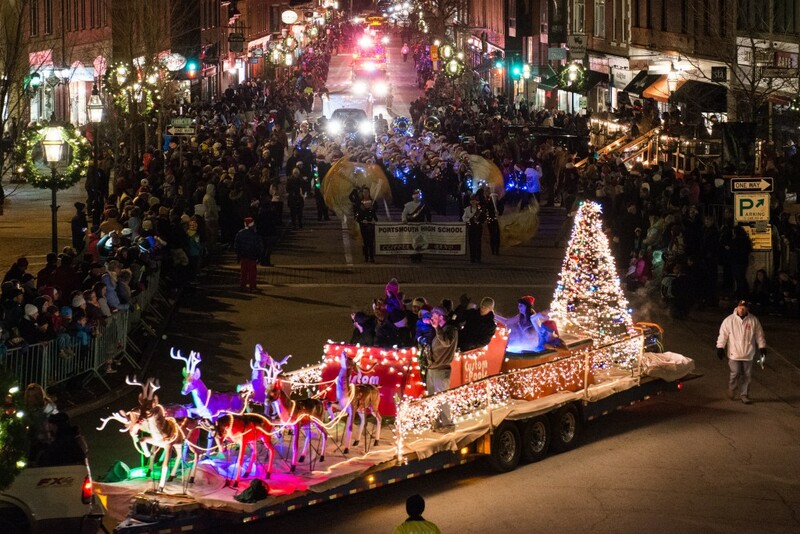 Filled with fun events for the whole family, the month-long event in beautiful Portsmouth, New Hampshire has cemented itself as a beloved holiday tradition for the past 12 years. This season’s highlights include the Ogunquit Playhouse production of Disney’s Beauty and the Beast the Broadway musical at The Music Hall’s Historic Theater and the 37th annual Candlelight Stroll at Strawbery Banke. Getting around town to all the holiday fun couldn’t be easier thanks to the free Vintage Christmas trolley, courtesy of the City of Portsmouth. The Music Hall has once again partnered with the Ogunquit Playhouse to bring a magical holiday show to the historic theater. This year, audiences will be treated to the Broadway production of Disney’s Beauty and the Beast, on stage November 30–December 18. Don’t miss this classic story with unforgettable characters, stunning sets and costumes straight from London, dazzling production numbers, and Broadway actors – all with a touch of holiday magic. When: Friday, December 16th, 5–9p.m. In the spirit of a truly Vintage Christmas, Strawbery Banke Museum welcomes visitors to travel through 300+ years of daily life in the waterfront neighborhood of Puddle Dock. This year’s rendition of the beloved Candlelight Stroll will be “Gift from the Sea.” Along candlelit dirt lanes, visitors will walk through a historic portrayal of winter –and, where historically appropriate, the holidays of Christmas and Hannukah – among the glowing historic homes and costumed role players. 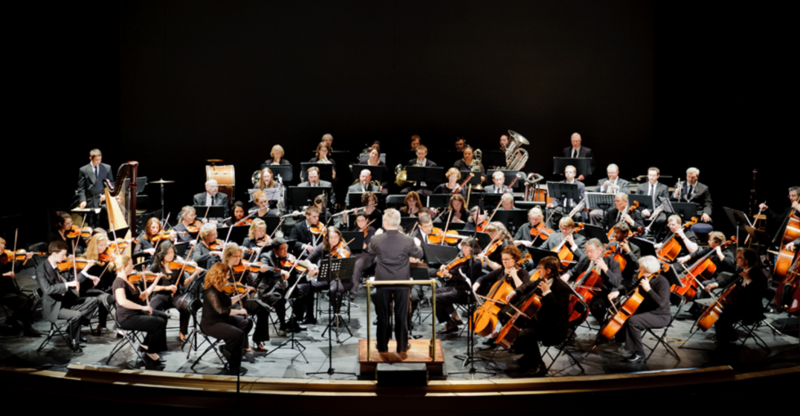 The magical experience will be accompanied by a full program of musical performances and theatricals. When: Friday, December 2nd, 5–8p.m. Help celebrate the official start of Vintage Christmas cheer and get the first look at the results of the popular 26th Annual Gingerbread House Contest Exhibit. Created by local business, artists, families, and children, the gingerbread houses will be nestled into a winter wonderland in the first floor gallery. The free exhibition is open from 10a.m.–5p.m. until December 23rd (with extended hours until 8p.m. on Fridays and Saturdays). This funny, poignant holiday play reading (no sets or costumes) will contain a collection of tales, interspersed with the work of Kenneth Graham’s The Wind in the Willows, the poetry of Robert Frost and Lawrence Ferlinghetti, and the comedy of David Sedaris. Celebrate the seasons with holiday favorites old and new in this classic production. Special guest artists include Taylor O’Donnell and Chris Klaxton. End the year with laughter at this always-a-hit comedy show, where Juston will be dishing on New England life and looking back at the year. Juston has been a guest on The Tonight Show and has performed in two Comedy Central specials, including his own one-hour show. He was recently named Best (Comedian) of NH by New Hampshire Magazine. When: Every day in December, 9a.m.–9p.m. Enjoy the delight of a winter skate at Strawbery Banke’s professionally-maintained outdoor ice-skating rink. In the spirit of Portsmouth’s rich performing arts culture, the rink hosts a Currier & Ives-inspired show during each of the December weekends of the Candlelight Stroll. Skate rentals and sharpening services are available. Step in from the cold and back in time at Pickwick’s acclaimed Holiday Dinners. Experience the historic William Pitt Tavern in all its holiday splendor for a festive colonial four-course meal prepared by acclaimed Chef Evan Mallett of the Black Trumpet. There will also be locally-crafted libations and live music to evoke holiday cheer. When: Saturday, December 3rd (Rain date: December 4th) | Tree lighting @ 5:30p.m. ; Parade @ 6:00p.m. 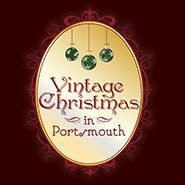 Experience this magical event in the heart of downtown Portsmouth. Excitement builds as the community counts down to the lighting of the Portsmouth Christmas tree and the festive fun continues with a dazzling illuminated holiday parade down Islington Street and through Market Square. 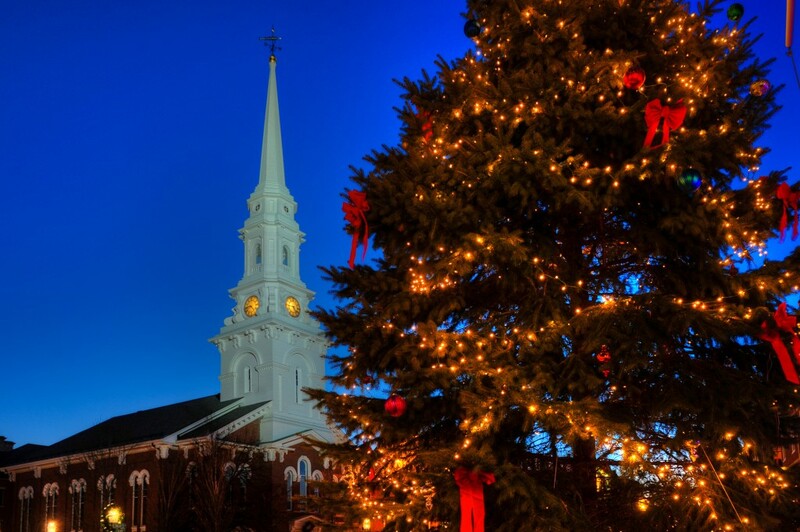 Enjoy the sights and stories of the Seacoast from the comfort of the Nickleby Trolley, which hosts 14 passengers for a Holiday Magic Tour in partnership with New England Curiosities. We hope to see you in Portsmouth!